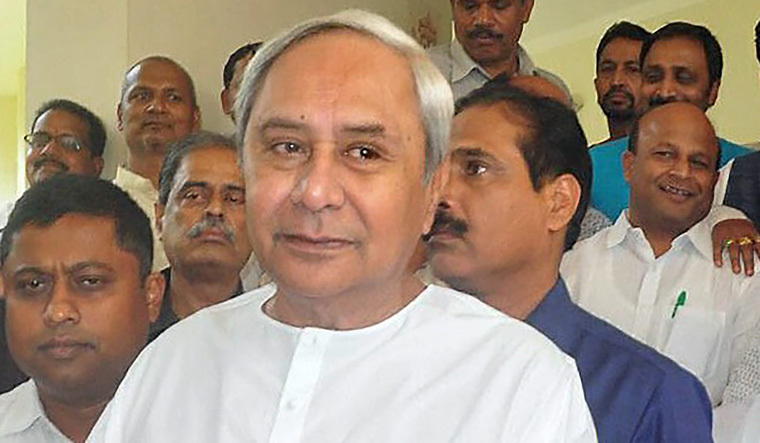 Why did Naveen Patnaik, the longest serving chief minister of Odisha, decide to contest from a second seat in western Odisha besides his original Hinjli assembly constituency in Ganjam district in southern coastal belt of state? In his two-decades plus political career, during which his regional party Biju Janta Dal remained unbeaten ever since its inception with record victories in all Lok Sabha and assembly polls held from 1998, Patnaik has never opted to contest from two seats. He confined himself to Ganjam from where he followed the footsteps of his late father, the legendary Biju Patnaik, in his first three Lok Sabha elections. Later, he began contesting from Hinjili in assembly elections from 2000 till today. This time, however, he has decided to contest from Bijepur assembly segment in Bargarh district of western Odisha apart from Hinjili. This move certainly sends across a few political messages. When Bijepur went to bypolls a year back in 2018 after the death of sitting Congress M.L.A.Subal Sahu, BJD fielded his widow Rita Sahu after inducting her to the party. She won with a margin of 40,000 against the rival BJP candidate. The bypolls changed the perception that the BJP is rising in the state. The saffron party had emerged as a main rival to the BJD in the rural elections held a year ago, pushing the Congress to a poor third. Prime Minister Narendra Modi referred to the BJP's emergence in Odisha elsewhere and in the process managed to create an impression at the national level that the saffron party will be a real threat to Patnaik’s BJD in 2019. The Bijepur byelection result proved the party wrong and showed that the claim of BJP national president Amit Shah that the party would get 120 out of 147 seats in the assembly polls in the state was only a rhetoric. As Bijepur bypoll was a prestige issue for the BJD, Patnaik had told the voters that Bijepur was his second constituency. It was felt in the political circles that the claim of the chief minister was more of a promise to personally look into the needs of the constituency, but nobody expected him to contest from there. In the last rural polls, the BJP had mainly won in western districts and captured local zilla parishads. After the BJD and the BJP formed alliance before 1998 Lok Sabha elections, the BJD had taken coastal districts and the saffron party the western districts. Before that, the Congress had a stronger base in western districts. In order to maintain the party's hold over the region, during the 1995 assembly elections, the then prime minister P.V. Narasimha Rao had announced at Bargarh, the district headquarters town of western Odisha, that if the Congress came to power, it would set up a Western Odisha Development Council for western part of the state. Since Independence, people of western part of the state had an ill-feeling towards the people from coastal districts where the capital city is located. There were demands from certain political circles in western districts that they want a separate Koshal state—a demand that continues to persist even today. Most of the chief ministers were also from the coastal districts. Patnaik’s BJD grew on the base of his late father’s Janta Dal—the Odisha wing of Janata Parivar. The BJD remained more or less a coastal Odisha party till its alliance with the BJP broke before 2009 general elections. Though in 2009 and 2014, the BJD singlehandedly won in Lok Sabha and assembly polls and created the record of becoming the first regional party of Odisha to come to power on its own, the fact that western Odisha had always been a stronghold of the Congress initially and the BJP later did bother the BJD. This could have prompted the chief minister to announce his decision to contest from a second seat in the region and take the fight to the enemy—a gamble that even his illustrious father would be weary of. The western districts have five Lok Sabha seats and 33 assembly constituencies. The decision of the chief minister to contest from the region will not only change the political discourse in the area, but will also influence the adjacent south and northern districts as well. Odisha will have four-phased simultaneous Lok Sabha and assembly elections. The BJD is contesting all 21 Lok Sabha and 147 assembly seats. So far, the party managed to continuously win five Lok Sabha polls and four assembly elections. In 1998, 1999 and 2004 general elections, it had fought as major alliance partner of BJP. In the 2000 assembly elections, the BJD-BJP alliance dislodged Congress government of state in the wake of cyclone mismanagement, and Naveen Patnaik, a cabinet minister of Vajpayee government since 1998, became the chief minister. Before the 2009 general elections, Patnaik broke the alliance with the BJP because of 2008 Kandhamal communal riots in which the Sangh elements allegedly played provocative role. However, in 2009 the BJD fared better in both general and assembly elections. If he had countered Congress in both 2004 and 2009 despite latter doing well at the national level, 2014 brought more surprises. Though BJP shot to power under Narendra Modi, Odisha was one of the exceptions as the party could win only one seat and the Congress zero. Though all parties are yet declared full list of candidates, the BJD has replaced 16 sitting Lok Sabha members—a move that the party had never done. Patnaik was the first in country to declare that the BJD would give 33 per cent Lok Sabha seats to women, and accordingly the party has fielded seven women candidates out of total 21 seats. While PM Modi visited the state thrice for campaign, Rahul Gandhi visited twice even as the chief minister has been on a campaign trail in a specially designed bus. Meanwhile, a video of the exercise regime of the chief minister has gone viral to silence the opposition who has been talking about his health issues.